Altura Painting is your local painting service company. Altura Painting is available for northern NJ including Bergen County towns of Allendale, Alpine, Bergenfield, Bogota, Cliffside Park, Closter, Cresskill, Demarest, Dumont, East Rutherford, Edgewater, Elmwood Park, Emerson, Englewood Cliffs, Fair Lawn, Fairview, Fort Lee, Franklin Lakes, Garfield, Glen Rock, Hackensack, Hasbrouck Heights, Haworth, Hillsdale, Ho-Ho-Kus, Leonia, Little Ferry, Lodi, Lyndhurst, Mahwah, Maywood, Midland Park, Montvale, Moonachie, New Milford, North Arlington, Northvale, Norwood, Oakland, Old Tappan, Oradell, Palisades Park, Paramus, Park Ridge, Ramsey, Ridgefield, Ridgefield Park, Ridgewood, River Edge, River Vale, Rochelle Park, Rockleigh, Rutherford, Saddle Brook, Saddle River, Teaneck, Tenafly, Waldwick, Westwood, Woodcliff Lake, Wood-Ridge & Wyckoff. Our NJ painting service area includes: Morris, Passaic, Essex, Bergen, Hudson, Sussex and Union Counties for commercial & residential painting services, we also provide miscellaneous repairs, maintenance, restoration and handyman services. You Don’t See Your Town? 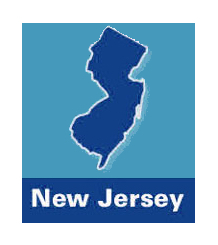 Here’s a list of our NJ Painting Service zip codes. Or you can give us a call @ (201) 440-0505 to find out if we can provide you with our NJ painting service. Chances are we are expanding and may be able to service your home or company’s needs.